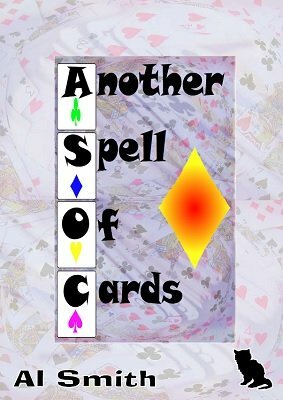 Another Spell Of Cards is the follow-on volume to A Spell Of Cards , and much like that ebook is not exclusively devoted to Spelling effects. However, in keeping with the spelling aspect of the title, there are more than several "Spellers," all presenting sideways glances at the ever-present premise. As with its proud predecessor, Another Spell Of Cards will appeal to the fearless family of card people who remain calm and maintain their cool in the presence of spelling tricks. 1st edition 2007, 56 pages.